Raaga.com: Bajrangi ‘Bhaijaan’ lands in trouble; Police deploys security for Salman Khan! Bajrangi ‘Bhaijaan’ lands in trouble; Police deploys security for Salman Khan! It seems Bajrangi ‘Bhaijaan’ aka Salman Khan happy days are short lived because the actor who is riding high thanks to his movie BAJRANGI ‘BHAIJAAN breaking box office records has once again landed himself in trouble due to his ‘irresponsible’ tweet regarding the infamous Mumbai bomb blast accused Yakub Menon. Salman Khan, who won the hearts of millions of Indians with his adorable character of Hanuman Bhakt, Pawan Kumar Chaturvedi in BAJRANGI ‘BHAIJAAN, has angered an equal number of Indian by defending Yakub Menon, the cruel terrorist, responsible for the death of hundreds of innocent Indian and injuring many. Salman’s senseless tweet alleging that instead of Yayub Menon the government of India should nab the real mastermind Tiger Menon, has not only irked many patriotic Indians and politicians but has also shamed his own father Salim Khan, famous script writer of Salim Javed fame. However the left wing political groups have sternly criticized Salman Khan’s insane remark. Hence the Mumbai police have deployed a platoon of SRI and few policemen as precautionary measure at his Bandra house, in Mumbai, in case some people who have raised objection to his tweets try to react against the DABANGG star! 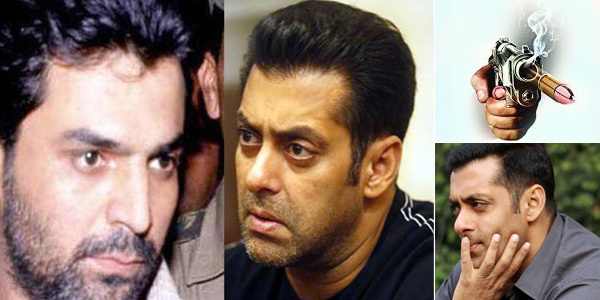 What is amazing is that how can Salman Khan forget that Yakub Menon’s role in the Mumbai bomb blast is as serious as the prime accused Tiger Menon, his brother and underworld don Dawood Ibrahim because Yakub Meon played the role of a ‘Commander’ in the Mumbai Blast Mission. It was Yakub Menon, who made financial and travel arrangements for the prime accused Tiger Menon to escape from Mumbai and executed the crime in Mumbai on his behalf. Hence he cannot escape the consequences of his role. Supreme Court has done the right thing by convicting him. He deserves death penalty!